This is lovely sock with beautiful stitch; I wanted to give it a try. 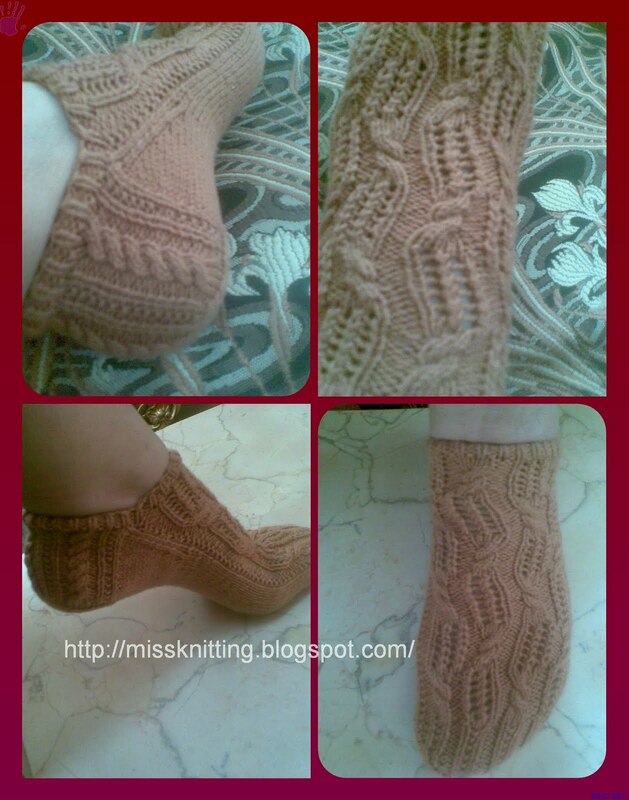 I just have changed a bit its pattern because I have made it with yarn not cotton as the original pattern. I also will give you a link to its pattern if you want to give it a try to. link, its in my todo list now... if I only had more hands... cobngratulations to your lovely socks.. It's lovely. I remember your first sock. My goodness you have come so far! Love it! Thanks so much my dear Christa, and you are welcome, I am waiting to see your sock too.